Has your little one hit the age where everything you do (or say) they do (or say)?! We certainly have hit that stage and my son copies everything we do. He wants to dress like his dad, repeats the “words” that we say (we try to really watch ourselves here, but come on, it is sooo damn hard), copying the way his dad jumps off the couch or simply just wanting to use cutlery and dish wear like ours. Mistake #1, giving my son a glass because he insisted on using a glass like a big boy … and he threw it! Mistake #2, giving my son our ceramic plate to eat his dinner from … and it slid off the table! After the trial and error (let’s just call it that), I went out and bought him his very own plate, bowl fork and spoon (all Playtex must I add) which still to date he uses 3.5 years later. Not once have I needed to replace any of these pieces and trust me over the years, they have been put through the ringer. I can say that with both kids, their first “solid” food was a Mum-Mum, so I am and always have been a fan. I remember how nervous I was giving my older guy (he was 7 months at the time) his first Mum-Mum, worried he would choke (we have all been there), so first thing I did, I bit a piece off and sucked on it to see how quickly it dissolved it was soft and mushy in under 10 seconds, so it passed my “mommy test” and I gave it to him. Within minutes it was gone and my first thought was to look around to see if he dropped it and it was nowhere to be found except little remnants of the Mum-Mum on his face and clothes. Here’s a neat idea that I know every mom can benefit from! When I first started feeding Frankie solids and wanted to go out with friends for lunch (to a restaurant or to their houses) I would bring with me anywhere from 3-5 of those little plastic containers filled with his pureed food, yogurt, apple sauce, his cereal etc, then had to pack a spoon, of course a bib and by the time I was done getting this all ready my diaper bag was basically over flowing (no joke). Bigger diaper bag or down grade the stuff I bring with me??!!! Obviously I opted for the bigger diaper bag!! Fast forward two years later and I get an email about testing reusable food pouches – WHY DIDN’T I THINK OF THAT!!!!!!!! (I feel like I have these moments more often than not). Of course I jumped at the opportunity since I did think it was the most brilliant idea and I was in my own personal mom heaven. 4. The food pouch is freezable and makes a great storage option for large homemade baby food batches or a convenient ice pack for long trips. Simply loosen the cap and squeeze out the excess air before freezing! Baby Gourmet founder and President Jennifer Carlson Broe came up with a really neat idea so your kids teeth dont rot post Halloween so I thought I would share to start a new trend in your homes. The Halloween Witch is a household tradition for Jen’s children. Trick or Treating is an experience that children love and Jen knew it would be very difficult (and disappointing for the kids!) to convince them not to participate – yet she was concerned about them eating big bags of candy. So … she told them about the Halloween Witch. Her kids have fun picking out their 10 – 15 favourite treats to keep and then they leave the rest of their candy next to the fireplace. The Halloween Witch visits their home each year and takes away the candy in exchange for a new present. Jen’s children enjoy the whole of experience of Halloween without the lingering damage to their nutritional plan. Jen knew it was a winning tip when she overheard her children telling their friends about the Halloween Witch! This year, Jen is going to take Halloween to an even healthier level. She will be handing out her brand new Squoosh™ product – the first healthy snack line-up to be launched under Kids Gourmet™, a brand devoted to healthy options for school age children (I wish I was knocking on her door this Halloween). For those of you that read my “Dont Judge” post know that I still feed my little guy pureed food to get the veggies that he doesnt eat, in him. The best part is that since I have posted that, a whole bunch of mothers have written me to tell me that they still feed their older kiddies pureed foods and don’t care what anyone thinks (amen sista) and with that I am here to tell you mom’s and dad’s about an AMAZING new snack product by Kids Gourmet (which is a new extension of my favorite Baby Gourmet) called Squoosh™! Tried and tested, they are a huge hit in my household. As children move from snacking at home to snacking at school, mom’s challenges increase. Children must love their snacks or they will simply trade them for something they want more. And as children grow older, they play an increasingly influential role in choosing their snacks from the grocery aisle. For that reason, packaging for the new school-age snack needed to be as tempting as the delicious recipes inside the pouch. The Squoosh™ snack product line has four products specifically designed to appeal to children’s sense of fun: Orangobango, Squabbleberry, Beetberry, and Banango. The packaging is fun and filled with serious nutrition. These snacks are made from 100% fruit and vegetables, have no added sugar or salt, organic, are kosher, nut-free and gluten-free, and provide a full serving of fruit & veg in every pouch. 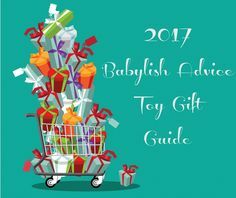 The winner will be chosen at random through random.org on Tuesday November 6th at 5:00pm and announced under this post and on the Babylish Advice Facebook page that evening so make sure to check in. For more information, please visit www.babygourmet.com, www.facebook.com/organic babygourmet and on Twitter: @babygourmet.